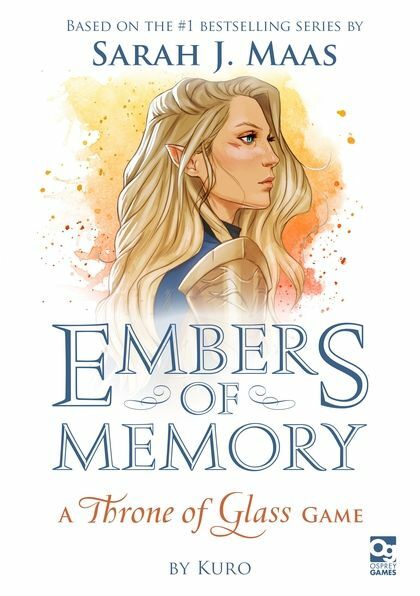 Embers of Memory: A Throne of Glass Game is a two-player co-operative card game set during the events of Kingdom of Ash, the epic climax to Sarah J. Maas' Throne of Glass series. 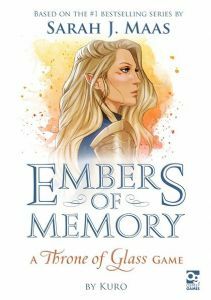 Working together, you must delve into the memories of the young queen and help her face her inner demons before she is overwhelmed. Be warned — each challenge you face is more complex than the last, testing the bond between you and your partner to its limit.